Islam & Science » Copernicus and Ibn al-Shatir: does the copernican revolution have islamic roots? 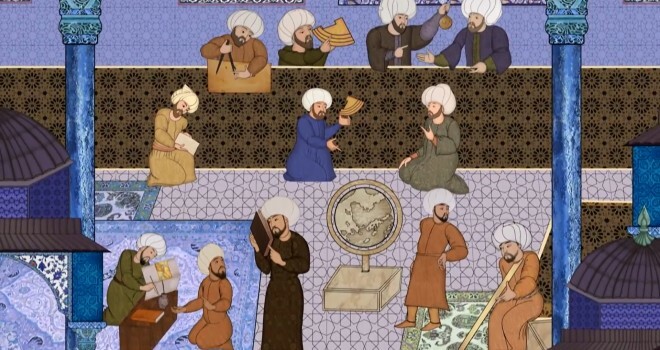 Copernicus and Ibn al-Shatir: does the copernican revolution have islamic roots? (b) Copernicus followed a clear inductive method while Ibn al-Shatir remained within the Zij (astronomical tables) tradition. On the question of the extent to which Copernicus had benefitted from the ‘transmission’ of thos models and critiques of Ptolemy, I insist that neither Ibn al-Shatir nor any Muslim astronomer accepted, let alone proposed, a heliocentric model. I then briefly discuss the Copernican Revolution and try to assess the extent to which the Polish astronomer might have been influenced by earlier Muslim discussions on the centrality (or not) and immobility (or possible motion) of Earth.